A version of this blog post originally appeared on the ScientiaMobile blog. Editor – In April 2017, NGINX, Inc. launched the NGINX Plus Certified Module program for third‑party partners who build, deliver, and fully support modules for NGINX Plus platform, opening up additional features and application delivery management use cases for NGINX Plus customers. The functionality of an NGINX Certified Module is fully supported by the module vendor. WURFL InFuze is a great example of extending application delivery management to dynamically support responsive web design for multiple device types. Below is a guest blog post from Ken Jones of ScientiaMobile about its new WURFL NGINX Plus Certified Module. 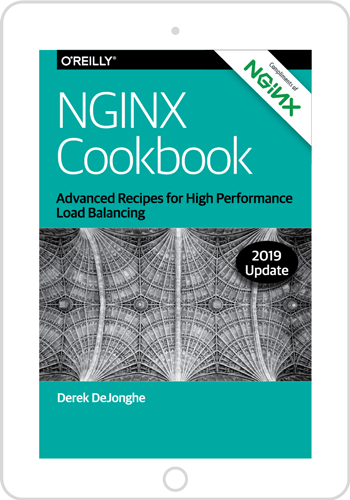 NGINX provides flexible, software‑based, high‑availability load balancing and an application delivery platform. And now with the WURFL InFuze for NGINX Plus Certified Module, you can quickly inject WURFL’s device intelligence into NGINX Plus’ application delivery logic. WURFL provides a number of options for load balancing criteria within open source NGINX or NGINX Plus. We can implement load balancing by operating system, browser type, or the price of the smartphone. In our following example (which will work for both open source NGINX and NGINX Plus), we load balance based on the device’s form factor. To begin testing this scenario, you will need to edit the default NGINX configuration file, typically located at /etc/nginx/nginx.conf. We separate traffic into three streams: smartphone, tablets, and other devices (such as desktop, smart TV, etc.). NGINX Plus can redirect those streams to specific servers. # This is an example of how to configure NGINX to be used with WURFL Device Detection module. # 'configure --add-dynamic-module' (WURFL API version 1.8.1.0 or above / NGINX OSS 1.9.11 or above). # (pipe separated). $backend_pool_name contains the upstream name based on is_phone value. Note that the IP addresses and upstream block names are examples only. Change them to match your test environment. To start a free 30-day trial of the WURFL InFuze NGINX Plus Certified Module, visit ScientiaMobile.